I like the way someone has walked off the shadow. 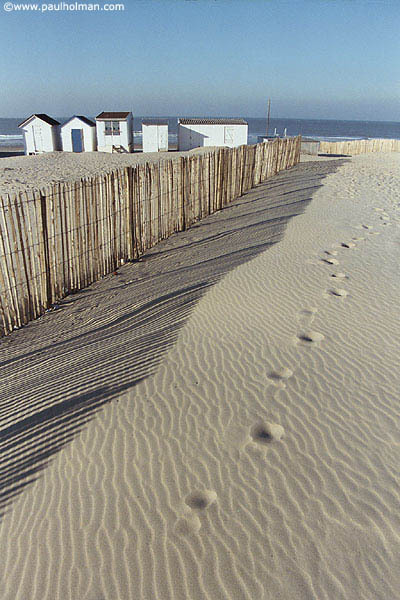 Shot on Bleriot plage, Calais, Northern France. Taken with a Canon EOS camera with a 24mm wide angle lens on colour negative film.